If you haven’t heard already, teddy bears can be highly valuable collectors’ items. From the classic bears that are highly desired to the simple ones that people just love to have around, getting started can be a challenge for a new collector. If you’re considering collecting teddy bears with your kids, you can use this advice to start your collection and keep them in good condition. When it comes to teddy bears, the sky’s the limit. Depending on your goals, you may want to base your collection more on quality and value or sentimentality. If you’re concerned about the long-term value of the collection, then you’ll want to follow some of the basic rules. Bears that have good value are well worth the initial cost and, if kept appropriately, will maintain or gain value over time. One of the top brands is Willow Bears collectable bears. These bears are handmade in the UK and then shipped to Australia, where they are sold in over 200 retail stores. The bears are carefully stored and come in a variety of styles and materials. The mohair variety of bears are especially popular, although all of their bears are sought after. Choose these and other bears that are made well to build a valuable collection. Many people are less concerned about the value of the bears but want to base their collection on their personal preferences. This can mean collecting teddies that have sentimental value, such as the teddy bears that you or family members have had over time. Keep the bears with pictures of their original owners if you can. You can also just collect bears you like, although this collection may not have much value overall. Consider collecting bears based on a specific theme, which is often easier for new collectors. Many stores have their own brand of teddy bears, which can be a fun collection. Special edition bears are also a great way to start a collection. Many teddy bear companies offer special editions that are released for major milestones or seasons of the year. You can start adding to your collection with a few each year and build it up over time. When you’re trying to start or build your collection, learn as much as you can about the type of teddy bear you collect. Use a teddy bear identifier, which will have photographs of the teddy bear types. You may not be able to find all of the books you need at a local bookstore. Local libraries and specialist collections are a great way to find out more about your collection. You can use this information to learn more about a fair price for the bears and what to look for when it comes to your collection. When it comes to adding to your collection, you can choose to purchase new or used. If you’re buying bears that are still being produced, try to buy from a store rather than another person. Make sure that you keep your receipts, so you can return the bear if there are any problems after purchasing. If you’re looking for bears that are no longer being made, then you may be searching for them in antique stores, online vendors, or even thrift stores. Keep in mind that you may have more frustrating experiences searching through these stores. Try to make friends with local antique dealers who know products and can alert you when teddy bears come in. They can also help guide you towards authentic options and steer you away from teddy bears that are in poor shape or of little value. When you first bring a teddy bear home, spend a little time inspecting it before adding it to your collection. Although new bears are likely in good shape, do a thorough inspection of any older bears. Review the condition of the eyes and note if they’re original or have been replaced. Look at the stuffing and note what the bear has been filled with. Check the label, if present, and keep the label intact. Finally, note the overall condition and if there are any holes, patches, or split seams. You may need to have some repairs done if the bears have been damaged. After you have your bears at home, make sure that you look after them. Teddy bear collections are worth more when they’re kept in good condition over time. Make sure to clean them according to the manufacturer’s instructions. Usually, surface cleaning is all that’s recommended. If the bears need to be washed, follow the care label. If the bear is old or fragile, discuss cleaning methods with a toy store or fabric conservator. Make sure that you store the bears to prevent their breakdown over time. Sunlight, a damp environment, mildew, and mold can all lead to decay. A display case that’s not in direct sunlight is often a good option. You can display your bears proudly but keeping them in a safe and secure place will help them to retain their value over time. 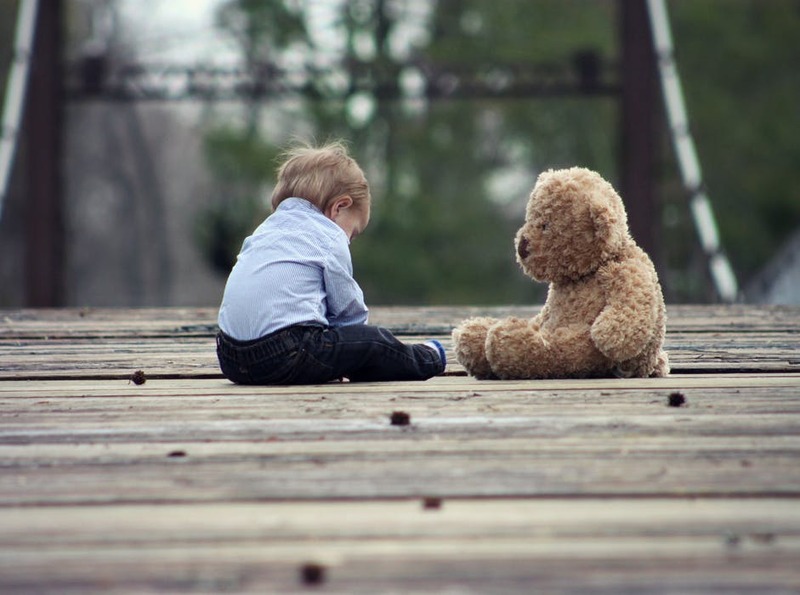 If you’re collecting valuable teddy bears or your collection has become valuable over time, you’ll want to insure them. Fire, flooding, and even burglary are all risks that you can cause a loss of your collection. Getting insurance is the best way to safeguard your teddy bear investments. You can ask for your collection to be appraised by a reputable collector or toy store and ask for an appraisal in writing. Use that information to insure your collection and you’ll have greater peace of mind. Although teddy bear collecting can seem intimidating at first, it’s easy to get started with these simple tips. Start off with a few of your favorites and then add to it over time. With a little work, you can build a great collection in just a few years.